Henry Girls On Mountain Stage The three Irish sisters showcase their hauntingly beautiful original material and chilling harmonies in their first American appearance. 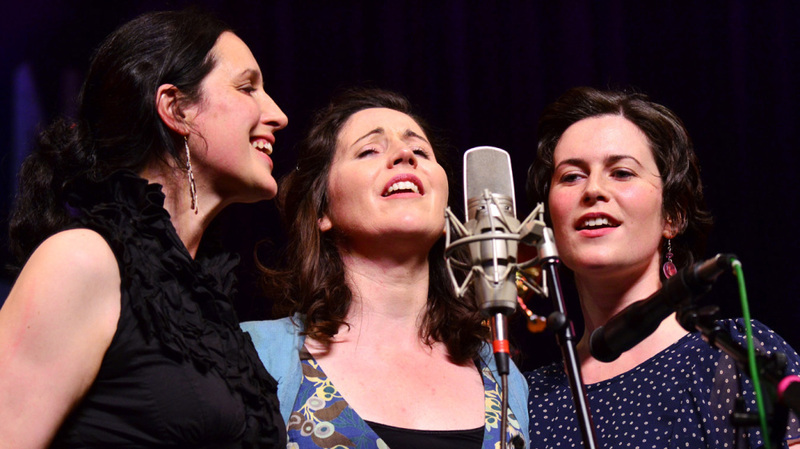 The Irish sisters in Henry Girls make their first American appearance on this episode of Mountain Stage. From Inishowen in County Donegal, Ireland, Joleen, Lorna and Karen McLaughlin create a seamless mix of folk, bluegrass and traditional Irish music, framed by their chilling three-part harmonies. Joleen McLaughlin's delicate harp playing is highlighted in the band's hauntingly beautiful original song "Home," and the three are joined by West Virginia string band The Fox Hunt for their final number, "Couldn't Ask for More." The group — whose name comes from the local family nickname, Henry — formed in 2001 and released its debut, Between Us, a year later. Henry Girls' 2010 album Dawn features music from the award-winning Irish family drama A Shine of Rainbows, and earned the band an Irish Film & Television Award nomination for Best Original Score. The group's most recent release is December Moon. This show originally aired on October 12, 2011.